Fragrance tells much about a place. Psychologists would argue that fragrances affect the mood of people. With TimeMist and thanks to advancements in science, the perfect fragrances can be bottled up and the dispensers have made it possible to release sweet aromas at programmed intervals, so your home or office always smells nice. TimeMist have made it their mission to supply your every fragrance need with sought after aromas. They have mango, raspberry acai splash, french kiss, country garden, clean and fresh and citrus. A can of TimeMist 3000 shot is super concentrated to last. Programmed at intervals of 15 minutes, it will last you 30 continuous days. After one month the value doesn't end there, TimeMist sell these refills in cases of 12. After the initial purchase of the dispenser and the case of 12, you now only need make the purchases of refills annually. Each can of TimeMist 3000 contains essential oils and has the desirable effect of inducing the long lasting effect TimeMist fragrances are so famed for. In addition, there are odor counteracts. TimeMist 3000 not only gives the aroma you so like, but also eliminates stale odors completely. These aerosols are of the highest quality - level 1 aerosol. They are manufactured using approved materials and they do not cause side effects. Being level 1, they are safe to use in storage areas with absolutely zero chances of food contamination. TimeMist Micro Dispenser is customized to fit the TimeMist 3000 shot and a few other TimeMist products. It uses power from AA batteries and is especially praised for its power-saving abilities. It has been made in a slick slim design that promotes elegance in every room it is put in. It is a performer, being able to dispense the fragrance that you love at the frequency of your discretion. The dispenser is easy to use and comes with a user interface that is simple. With the affordable pricing, getting your own TimeMist setup can cost less than $50. With TimeMist 3000 shot and TimeMist dispenser your money will speak volumes. The affordable pricing also allows you to buy an etire year's worth of air fresheners for less than you would pay for other brands. 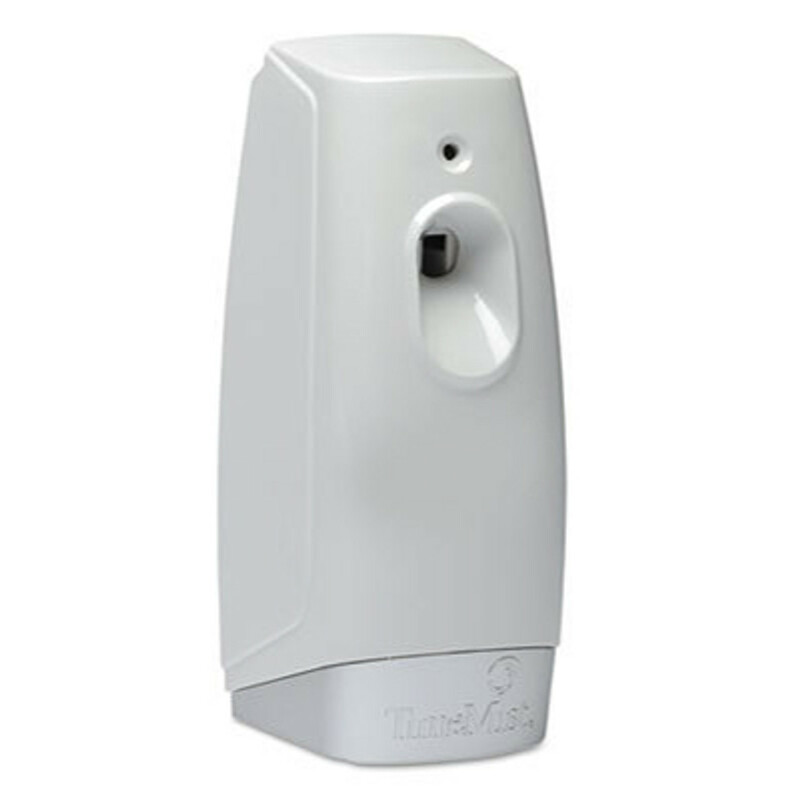 A fresh smelling bathroom can make your life a whole lot nicer, as many customers will confess, with a TimeMist 3000. TimeMist has all the fragrances for your every need. Take action, do not let odors in public toilets or at home ruin your day. Today use citrus and tomorrow switch the can with a raspberry one. And let life have some taste. TimeMist is the future of fragrances.